Local real estate offices are offering support to the families of Jamie Guttenberg, 14, and Meadow Pollack, 18, two of the 17 victims. 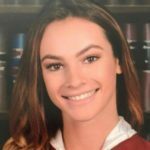 Florida real estate offices are offering support to two agents whose daughters were among the 17 people killed in the mass shooting at Marjory Stoneman Douglas High School in Parkland on Feb. 14. Jaime Guttenberg, 14, daughter of Charles Rutenberg agent Fred Guttenberg, and Meadow Pollack, 18, daughter of Coldwell Banker Boca Resort and Beach agent Shara Kaplan, were both killed when a former student of the high school opened fire on Valentine’s Day, killing 17 and wounding 14 more people. GoFundMe pages for the families of Guttenberg and Pollack have been set up for those who wish to contribute. Jaime’s father Fred Guttenberg has taken to the media and to public forums, including a town hall confrontation with Florida Senator Marco Rubio over gun laws, to express his outrage over the shooting that killed his daughter and 16 others. “She was a beautiful and kind and intelligent teenage girl. She danced with tremendous grace and she had an amazing smile,” reads Jaime’s GoFundMe page. The whole office has been affected, Sessor told Inman. The brokerage is collecting donations from its associates to an organization where Jaime volunteered called The Friendship Initiative. Guttenberg is also creating an organization called “Orange Ribbons for Jaime,” which will address school safety isuses, according to Jaime’s GoFundMe page. Kaplan, who also has two adult sons, is grieving the devastating loss of her daughter Meadow with a very close circle of family and friends at home, according to her friend Aileen Grossman. Grossman is Kaplan’s childhood friend from Long Island, a long-term agent and broker, and told Inman has been with Kaplan daily since the shooting. Kaplan’s ex-husband and Meadow’s father, Andrew Pollack, who is a former real estate agent, has spoken out about his devastation and anger over the attack. 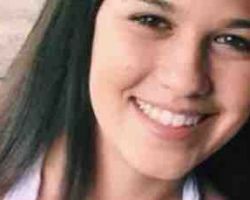 Meadow had been anticipating her senior prom, graduation and attending college later this fall, according to her GoFundMe page. The managing broker at Kaplan’s office, Joseph Santini, said Coldwell Banker’s regional vice president for Southeast Florida, Nancy Corey, had taken swift action, organizing for counselors to come into the office. The local office also took care of the catering for the funeral.